What size fan belt do I need? This can be one of the most bedeviling questions concerning the Model T. Over the years and by the hands of many owners, the parts may have been changed on the engine and in not a few cases the engine itself has been changed out for one of a year different than that of the car in question. 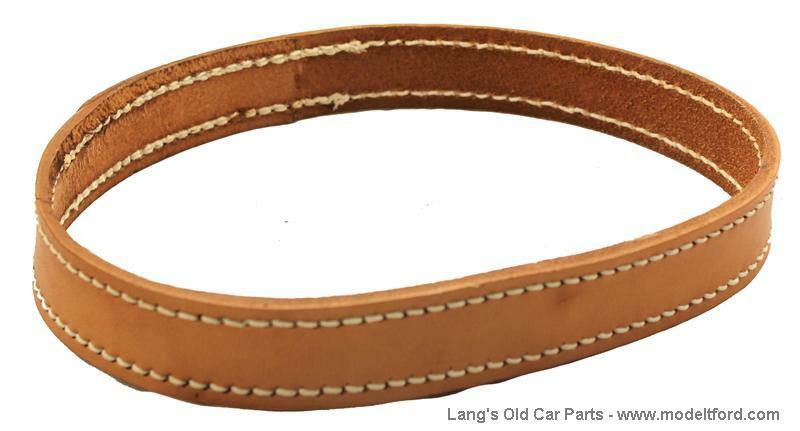 All of these variables can make it imprecise to order a belt by the "year" of the car. First, adjust the fan to it's lowest position. Second, run a piece of string around the pulleys. Third, measure the string. This is the length needed for your belt. Do not measure with a steel tape, it won't bend tight enough around the pulleys and will give a false measurement. Also do not measure around the outside of an old belt, you will get a reading longer than you need. 101 out of 105 found this answer useful. What is the width of this fan belt? The belt is 1 1/8" wide.